Join us, get connected, stay informed! Welcome to the Website for the Sierra College Student Chapter of the American Society for Microbiology (ASM). Our host organization is the Northern California Branch of the American Society for Microbiology (NCASM), and we are the only community college chapter in California. 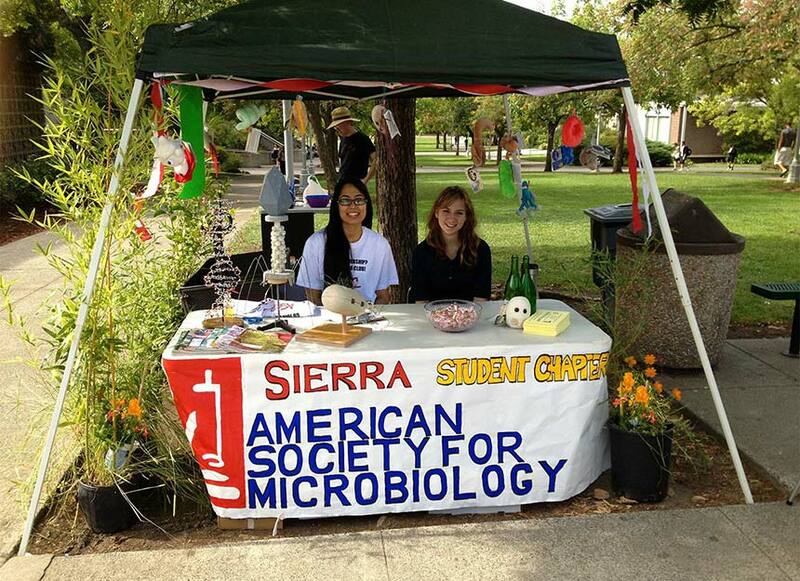 We are also identified as the Microbiology Club, and participate in a variety of activities hosted by the Associated Students of Sierra College (ASSC). Microorganisms are important to everyone, so we hope you will join us. Sierra Student ASM display tables are frequently visible during events occurring on the Rocklin Campus. Students and advisors coordinate their schedules to set up and manage these display tables while maintaining dedication to academic success. Look for our table displays and drop by to learn more about microbiology and join the Sierra College student chapter of ASM.